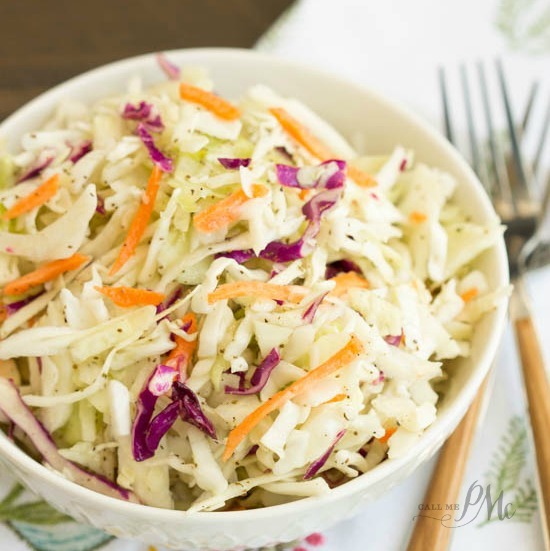 A basic cole slaw recipe, Tangy Vinegar Based Slaw is zippy and crunchy flavored with a little heat and a pinch of sweet. When it comes to cole slaw and pasta salad recipes, I tend to like vinegar based recipes over mayonnaise based recipes. 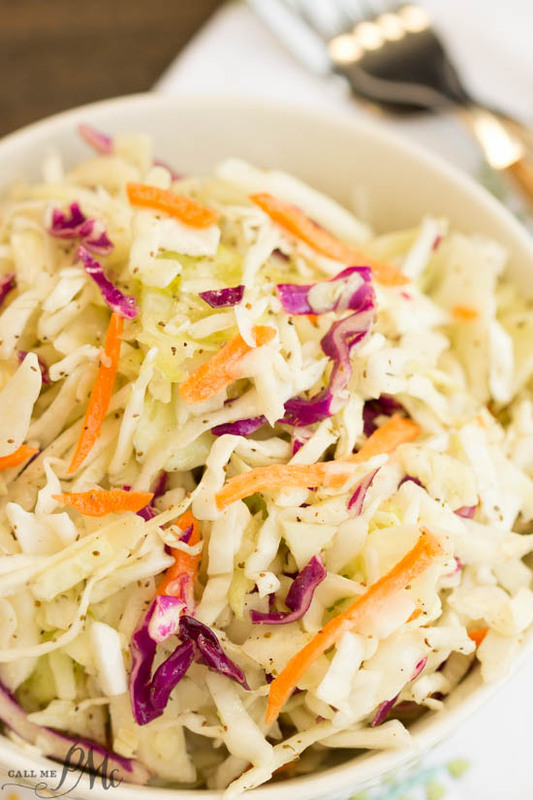 White wine vinegar with a touch of sugar brings out the natural flavor of this basic slaw mix. Whereas, with mayonnaise based sauces, I feel like I can only taste mayonnaise. 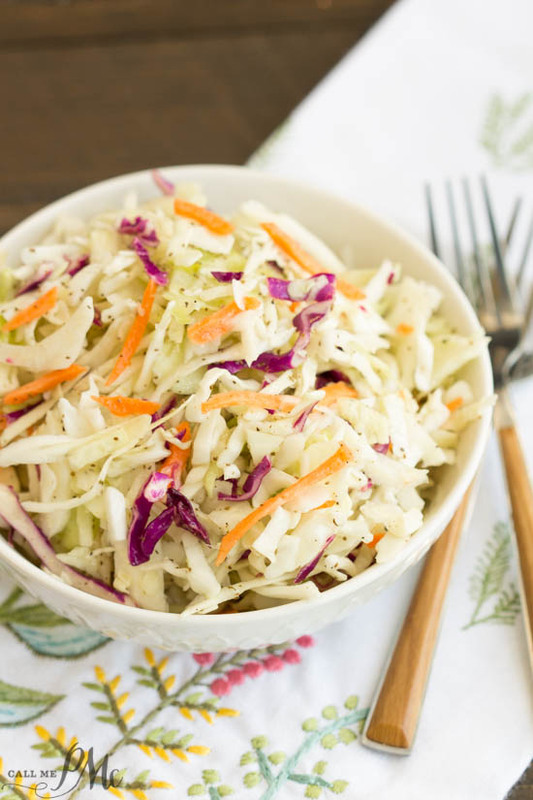 Tangy Vinegar Based Slaw is a basic coleslaw recipe that’s good to have on your roster. It’s one of those recipes that after a couple of times making it you won’t even look at the recipe anymore. And trust me, you’ll use it time and again. 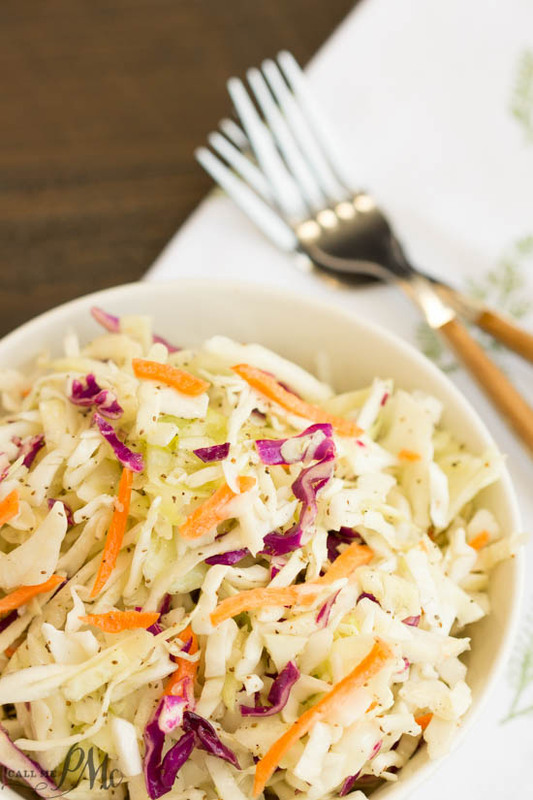 First of al Tangy Vinegar Based Slaw is good by itself as a side item. 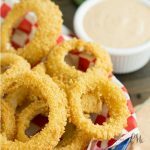 It goes with burgers, barbecue, grilled chicken, and fish equally well. 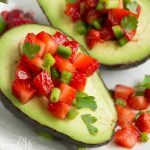 However, don’t stop there, It also livens up any sandwich, wrap, or taco you put it on. 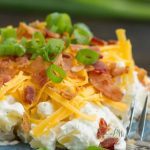 As a bonus tip, it’s great for potlucks and family reunions where you need a recipe that can sit out for a while. There’s a local restaurant that has it available at lunch to eat any way you want. Therefore, I spoon a big helping on top of everything on my plate. It’s like ketchup for ketchup lovers, just put it on everything! or follow me on email. You can sign up at the top right of this page. This was delicious. I’m a big vinegar fan! I added poppy seeds, some red pepper flakes, toasted almonds and cranraisins and it was DELICIOUS!!!!!! I’m a vinegar fan as well. Glad you liked. I like your additions. I’m a vinegar fan as well. I’m happy you liked it. I like your additions. 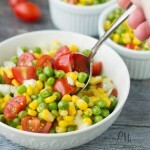 Really delicious recipe. Goes great with pulled pork barbeque. Thanks for another excellent recipe! I did add some poppy seeds & crushed red pepper (didn’t have a jalapeno). It is a keeper & bet it would be just as wonderful with a bag of broccoli slaw. 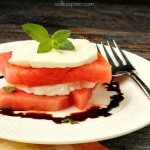 I made this with white vinegar, will try wine next time… Thanks very good. I am more savory than sweet. The first paragraph of text says white wine vinegar and the recipe says red. Is it either–photo makes me think it’s white. You can use either, but I used white wine vinegar. I will correct that thanks for pointing it out to me.